Above: Construction of the Valley Ford Cheese & Creamery rainwater catchment system. 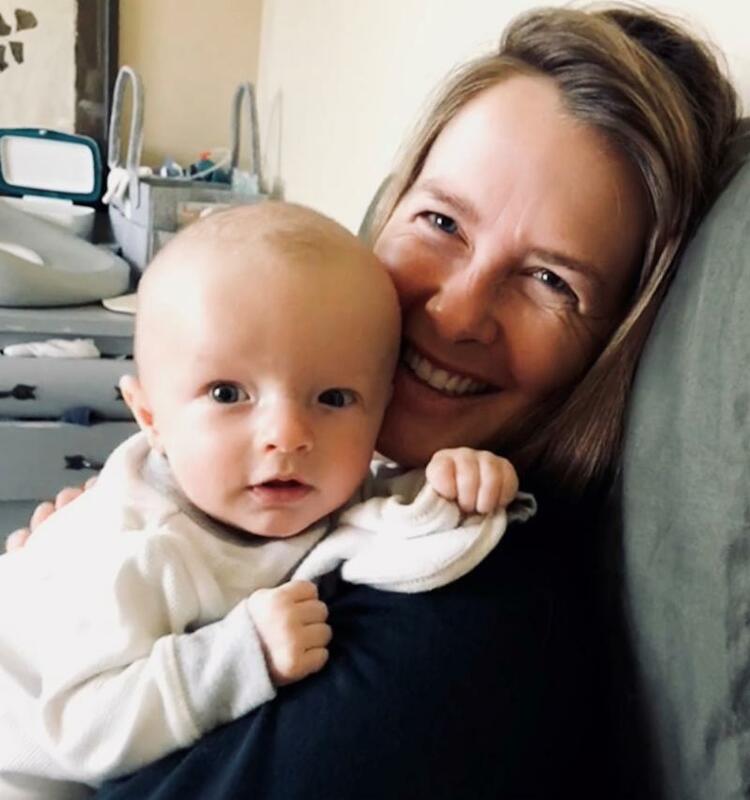 The Gold Ridge RCD's Executive Director, Brittany Jensen, is back at work after maternity leave. She will be working half-time to begin with – mostly Wednesdays, Thursdays, and Fridays. Her son Lytton Jensen was born March 23, 2018, happy and healthy. ﻿Baby Lytton will be a welcome addition to the office when he comes in with mom! Ways to Engage with Your RCD! The Gold Ridge RCD monthly e-newsletter will now feature a section for "Conservation Opportunities"--a list of programs and opportunities for members of our district to engage with the GRRCD's financial, technical and educational offerings. The up-to-date list of opportunities can also be found on the GRRCD website's homepage . Also, check out our Resource Library for publications free to view and download. Topics range from creek stewardship to frost protecton to fire fuels management. Find it under the Resources menu on our homepage. ﻿The Conservation Opportunities article is now the last article in this section in every e-newsletter. Scroll down to view it in this edition! The Sonoma and Gold Ridge RCDs recently jointly hired a forester to serve the entire county of Sonoma. 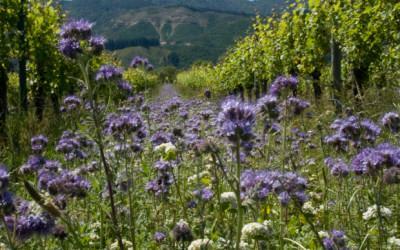 The following article is from Sonoma RCD's June newsletter. The RCD is excited to welcome Jason Wells, a Registered Professional Forester (RPF), to our staff team. Since the wildfires of October 2017, it has become increasingly apparent that the landowners and communities of Sonoma County need more resources to assist with forest and fuel load management. The Sonoma and Gold Ridge RCDs teamed up to garner funding from the USDA Natural Resources Conservation Service, through the National Association of Conservation Districts, to launch a new position focused providing on forestry technical assistance. Jason Wells, a California Registered Professional Forester (RPF), comes to us with six years of experience in private industry throughout Humboldt and Mendocino Counties. His experience includes writing CEQA equivalent Timber Harvest Plan documents, integrating knowledge of forest operations with environmental impact mitigations, silviculture (applied forest ecology), forest health and protection, economics of forest management, and road design and layout. Jason has also been certified by the California Department of Forestry and Fire Protection (CALFIRE) to conduct archaeological surveys for plans in which CALFIRE is lead agency. Born and raised in Petaluma, he graduated from Humboldt State University with a B.S. in Forestry with an emphasis in Forest Conservation. At the RCD, Jason will provide technical and planning assistance to landowners, help build a forestry program capable of addressing vegetation and fuels management concerns throughout the county, as well as address post-fire recovery efforts. 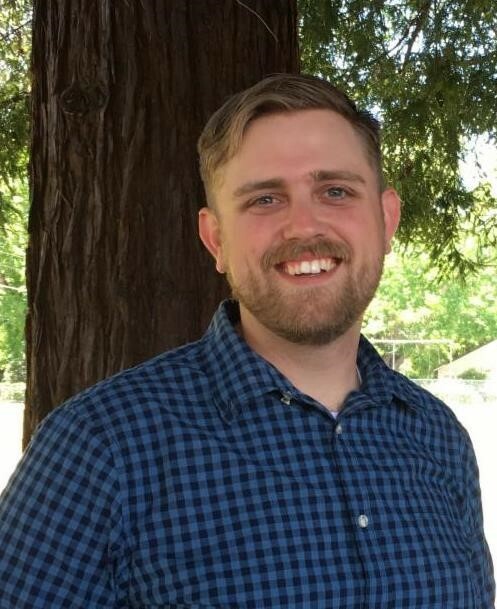 If you are an owner of forestland in Sonoma County with questions about forest management, Jason would love to hear from you! He can provide as-needed technical advice, forest management planning, and will also be looking to identify potential forest management and fuel load reduction projects for future grant funding. Jason can be reached at 707-569-1448 x107, or jwells@sonomarcd.org . In the place of the Valley Ford Mercantile & Wool Mill, a local creamery is taking root. The Valley Ford Cheese & Creamery Company will be opening a cheese shop on Hwy 1 in the heart of Valley Ford this fall 2018. Come winter, the roof of the creamery will collect and send up to 46,000 gallons of rainwater to a steel tank set behind the shop. Gutters on the red building collect rainwater and convey the water through underground pipes to the collection tank via gravity. The large tank is stout—nearly 11 feet tall and about 35 feet wide. The system is designed to fill even in a drought year (or 25" rainfall). Any overflow from the tank will be routed to the landscape. Water collected in this system is used for outdoor irrigation and, most importantly, the tank will serve as the dedicated water supply for the building’s new sprinkler system. Plus, we have partnered with the Valley Ford Volunteer Fire Department (located across the street) by adding a tank fitting available for their crew in the event that water is needed as an emergency water supply for fire protection. 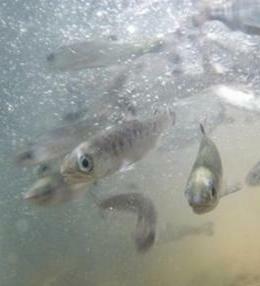 Groundwater in the town of Valley Ford has high levels of nitrates. This and drought conditions have brought the watershed to the attention of the CA Department of Water Resources. Funding through DWR's North Coast Integrated Regional Water Management Plan made this conservation project possible. As part of our program to improve streamflow in upper Green Valley Creek for the benefit of salmonids and watershed health, the RCD has been developing a series of alternative water source and water storage projects in the area adjacent to the creek upstream of Bones Road. One such project is being built this month. It consists of two rainwater catchment systems to satisfy the water demand for garden and landscape irrigation and drinking water for horses. A total of 60,000 gallons will be collected from a large solar array, the roof of a garage, and the roof of the main water tank . 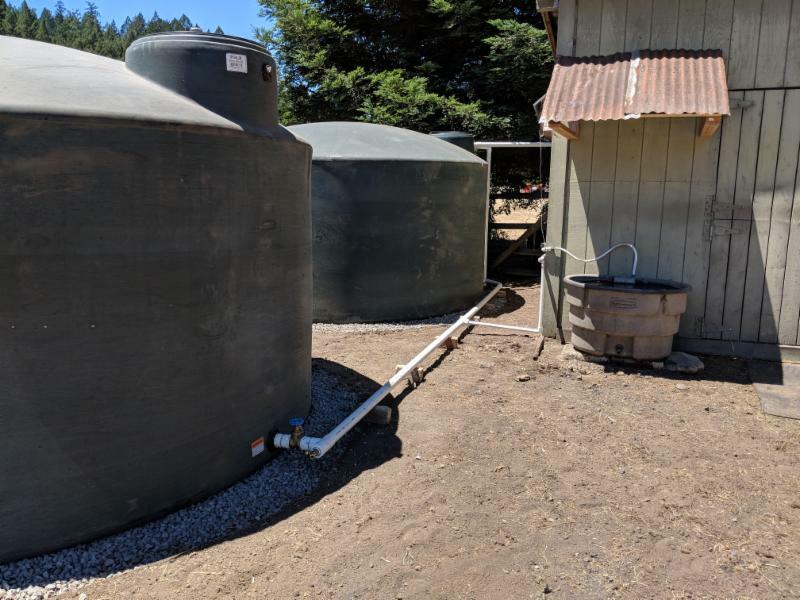 Additional storage capacity is provided in two 5,000-gallon tanks for water catchment off a small horse barn. In total, the system will provide 70,000 gallons of rainwater. As always, the landowner agrees to refrain from drawing water from shallow wells or in-channel pumps to satisfy these water demands during the summer months to spare water resources in Green Valley Creek. Learn more about the Coho Partnership Water Reliability Program . Living the rural life in Sonoma County has many benefits--beautiful views, closeness to nature, and small-town culture, to name a few--but there are challenges as well. One challenge is finding that your farm or ranch has been targeted as a location for illegal cannabis cultivation or trash dumping. ﻿The California Department of Resources Recycling and Recovery, also called CalRecycle, has funding available to contract local agencies like the RCD to remove the waste from these activities and restore the land beneath it. These funds have been used in the past to remove hundreds of thousands of pounds of waste on farms and ranches across the state in the form of tires, abandoned vehicles, appliances, and other solid waste. It has also been used to remove the waste left over from illegal cannabis cultivation, such as plastic planting pots, irrigation line, plastic waste from soil amendments, fertilizers and pest poison, and rubber or plastic pond liner. Residents of our district are encouraged to contact us if they need this kind of assistance. For more information about the Farm and Ranch Solid Waste Cleanup and Abatement Grant Program, contact Adriana@goldridgercd.org . Residential Water Conservation in the upper Green Valley Creek and Dutch Bill Creek watersheds: Be water wise! Speak with us about designing an alternative water storage or rainwater capture system at your home. Funds are available through our Water Reliability Program for residential landowners whose current water source impacts the amount of water in the creek, such as in-stream riparian pumps or shallow near-channel wells. Learn more and view maps of the service area . Contact John@goldridgercd.org for more information. Agricultural Water Conservation in the Salmon Creek, Estero Americano, Dutch Bill Creek, and Green Valley Creek watersheds: Be water wise! Speak with us about designing a water storage or rainwater capture system on your agricultural operation. Funds are available for water conservation and water security project design for agricultural landowners, particularly those currently using in-stream pumps or shallow, near-channel wells. Contact William@goldridgercd.org for more information. Irrigation Efficiency Evaluations: Be water wise! Funds are available for irrigation efficiency evaluations for agricultural operations in the Dutch Bill Creek and Green Valley Creek watersheds. Learn more here. Contact Noelle@goldridgercd.org for more information. Improve Soil Health on your Ranch: Grow healthy soils! We are looking to engage ranchers in rangeland soil health educational activities. We will be hosting a series of events on the topic and developing useful in-field tools for evaluating and understanding rangeland soil health. If you would like to receive notifications on upcoming events and resources, please email Adriana@goldridgercrd.org . Rent the No-Till Drill: Grow healthy soils! The RCD owns a Great Plains 606NTD rangeland seed drill which is available for rent at low cost. The drill is available for $150/day for residents within the district boundaries and $200/day for residents outside of the district. No-Till is a conservation practice that improves soil health because it minimizes soil disturbance, keeps the soil covered and keeps a living root in the ground year-round. Contact William@goldridgercd.org for more information . On-Site Waste Water System (AKA Septic System) Support: Have septic questions? As a non-regulatory, informational resource, the Lower Russian River Ombudsman can help residents of the Monte Rio area with questions about regulations, provide residents with confidential information about their septic system and help identify grants and financial assistance opportunities. Contact David@goldridgercd.org for more information. This field tour is part of the RCDs' ongoing Vineyard Soil Health Series. 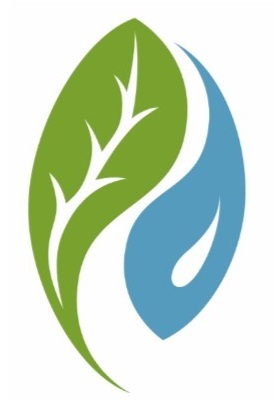 Please visit the North Coast Soil Hub at http://soilhub.org to learn more about soil health and other upcoming events. Conservation Corps North Bay, a local nonprofit organization, is offering an option for conveniently recycling tires, reducing waste on your property and in the landfill. Are illegally dumped tires a problem in your area? Conservation Corps North Bay (CCNB) can remove unwanted tires from public lands at no cost, and also holds regular tire amnesty events where local residents can drop off tires to be recycled free of charge (some limitations apply). CCNB also offers no-cost litter abatement services, implementing recycling programs in coordination with land management agencies and local governments. To learn more about either of these programs or to sign up for notifications about tire amnesty events, email Kate Harper, CCNB’s Recycling Manager, at kharper@ccnorthbay.org . What do you want to see? Come share your ideas about what actions will lead to a successful recovery and resilient future for Sonoma County. Plan to ensure the safety, livelihoods, and economic prosperity of the residents of Sonoma County. Topics include preparedness, infrastructure, housing, economy, natural resources, and safety net. Are you interested in using prescribed fire as a management tool? Are you curious about options for planning and implementing prescribed fire projects on your land?